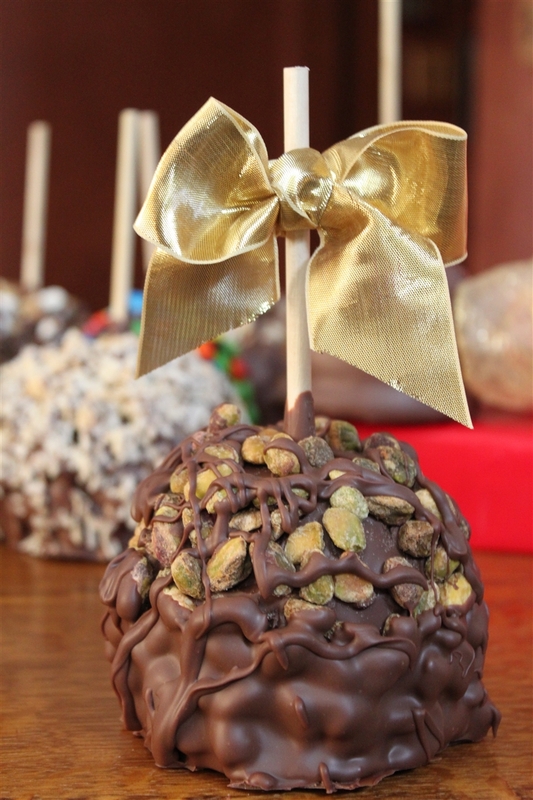 This pistachio-covered caramel dipped apple is packed with fresh roasted jumbo pistachio and chocolate flavor!! We hand-dip a domestic granny smith apple in our signature caramel, pistachios and our world famous chocolate. THEN WE ADD ANOTHER COAT OF CHOCOLATE half-way up!. After that we add a delectable drizzle or warm chocolate. This is a caramel apple for the true pistachio nut lover! You get to choose from milk, dark or white chocolate too!